OA can seriously enhance the reputation and career prospects of researchers, because of the visibility of the publications. The main advantage of making research Open Access (OA) is often summed up in two words: impact and visibility. Visibility refers to the probability that a publication will be seen and disseminated, while impact concerns its long-term reception and the extent to which its findings influence future research and scientific debate. OA articles are much more widely read than those which are not freely available on the Internet. Web wide availability leads to increased use which, in turn, raises citation rates, a fact that has been empirically supported by several studies. Depending on the field in question, OA articles achieve up to three times higher citation rates and they are cited much sooner (cf. for example Lawrence: Online or invisible, or Harnad & Brody: Comparing the Impact of Open Access (OA) vs. Non-OA Articles in the Same Journals). Some OA journals have acquired an Impact Factor often higher than those of comparable toll-access journals. In order to stimulate researchers to make their work OA, different research funders, universities and institutions have different Open Access policies and mandates. For instance, the European Commission, in the OpenAIRE project, commits researchers funded under the 7th Framework Programme (FP7) (from 7 thematic areas: Health, Energy, Environment, Information & Communication Technology, Research Infrastructures, Socio-economic sciences & Humanities and Science in Society) to deposit publications in an institutional or disciplinary Open Access repository, to be made available worldwide in full text. The Research Foundation Flanders (FWO) obliges its researchers to self-archive all articles coming from research funded by the FWO, in OA repositories. How will Open Access be financed? Self-archiving into an institutional repository (green road to OA) is usually free of charge. Publishing in an OA journal or with an OA publishing house (golden road to OA) is sometimes accompanied by the charge of an author fee. Information can be found on the journal’s website. (An overview of OA journals can be found here.) Some OA journals provide institutions with a fee waiver or discount of this charge for a number of publications per year. Some research funders take care of this charge for their researchers. What are the legal issues I should be aware of? If you, as an author, wish to make your work open access (OA), you should be aware of certain legal issues. One central question is whether you have the so-called online exploitation right of the work, which includes the right to self-archive it in an OA repository. This should not be taken for granted, especially if the contribution in question has been published by a conventional publishing house. To a certain extent, the legal issues associated with primary publication in an OA journal (the so-called golden road to OA) differ from those relating to self-archiving in parallel with journal publication (the so-called green road to OA). Nowadays, the majority of publishers allow their authors to deposit a version (preprint, postprint or publisher’s version) of their work in an institutional or subject-based OA repository. The SHERPA/RoMEO listings provide details of the copyright and self-archiving policies of the major publishers of peer-reviewed academic journals. When entering into a publishing agreement, you should endeavour to persuade your publisher to accept non-exclusive rights of use because otherwise you, as author, lose the right to exploit your work online. You could consider attaching an addendum to your publishing agreement in order to retain the right to self-archive your contribution in a non-commercial repository. A number of author addenda can be downloaded free of charge from the Internet. To become legally binding, the addendum must be countersigned by the publisher. Some publishers refuse to accept such author addenda. But, as mentioned above, the majority are nonetheless willing to allow self-archiving in an OA repository. The situation with regard to primary publications in OA journals or with OA publishing houses is quite different. As a rule, authors must warrant that they hold the online exploitation rights of the work and that it has not been published elsewhere. For their part, OA journals and publishers usually allow authors to make a version of their contributions openly accessible online provided the published source is acknowledged. OA journal websites usually provide detailed information on their copyright policy. The SHERPA/RoMEO listings detail the copyright and self-archiving policies of the major publishers of peer-reviewed academic journals. By Open Content licences authors grant rights to others to use their work in a particular manner (rights of use) and stipulate the conditions under which the work may be used. The use of such licences makes it easier to have copyright infringements penalized and provides users with exact information on the manner in which the document may be used. 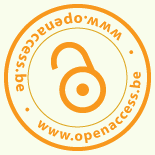 The OpenAIRE portal adresses several copyright issues in detail.